HomeAnother use for JoJo’s DoggyRide! 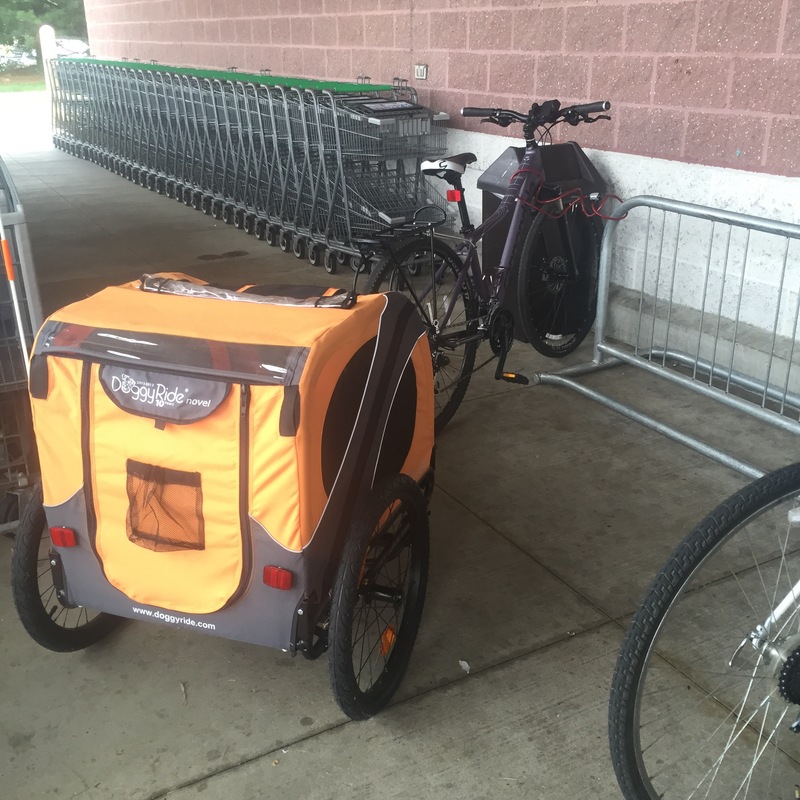 Well, today I needed to go grocery shopping, which I HATE doing – so why not combine it with something I LIKE doing, riding my bike? 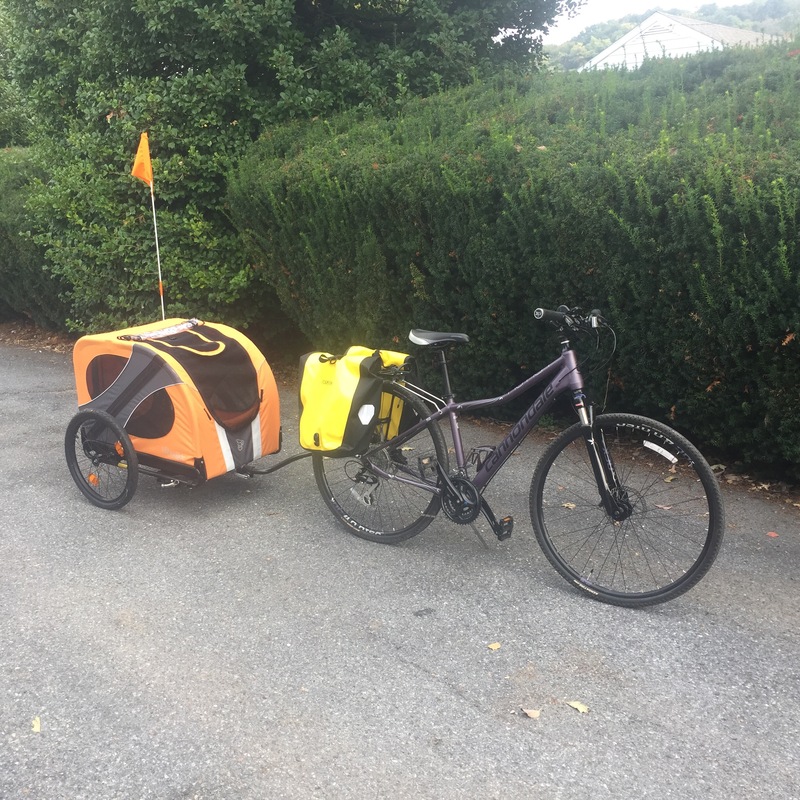 I hooked up the DoggyRide, grabbed my Ortlieb panniers and off I went. It is about a mile to the nearest grocery store, so that’s not bad at all, although I do have to cross a fairly busy road on the way, which makes me a little nervous. 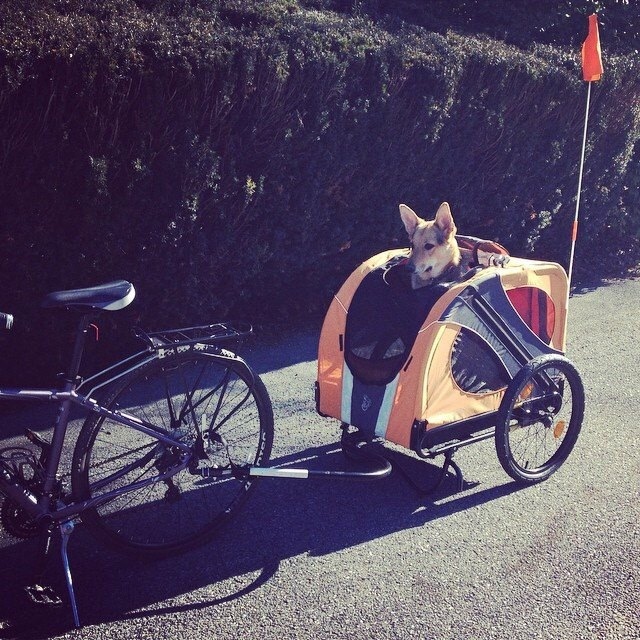 I couldn’t quite fit the bike into the rack with the DoggyRide attached – so I improvised! As I was shopping I wondered how much I could actually fit in the DoggyRide? 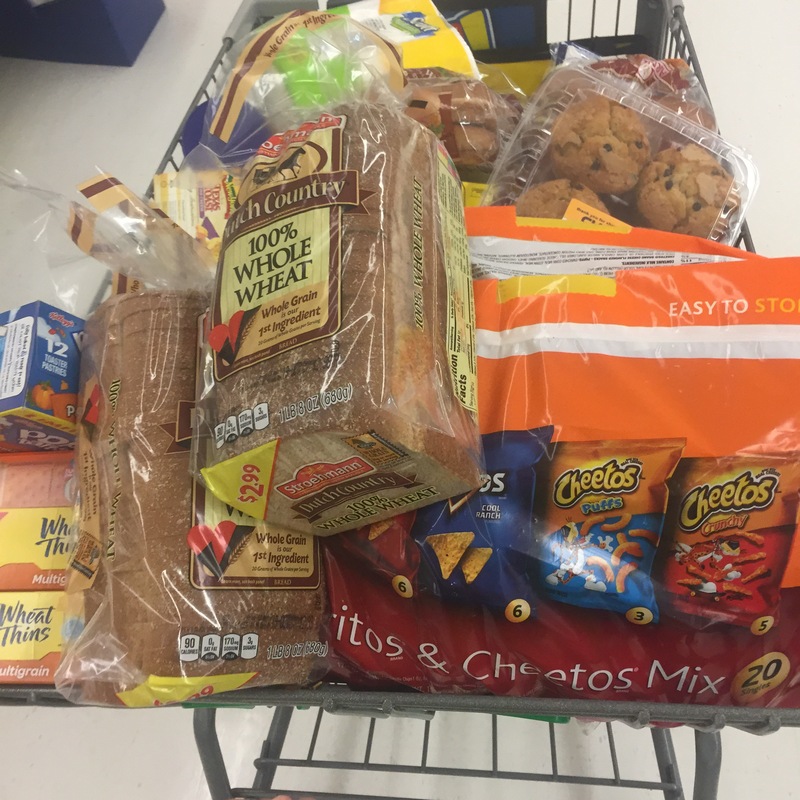 I kept grabbing things off the shelf that I needed and before I knew it I had a full cart. 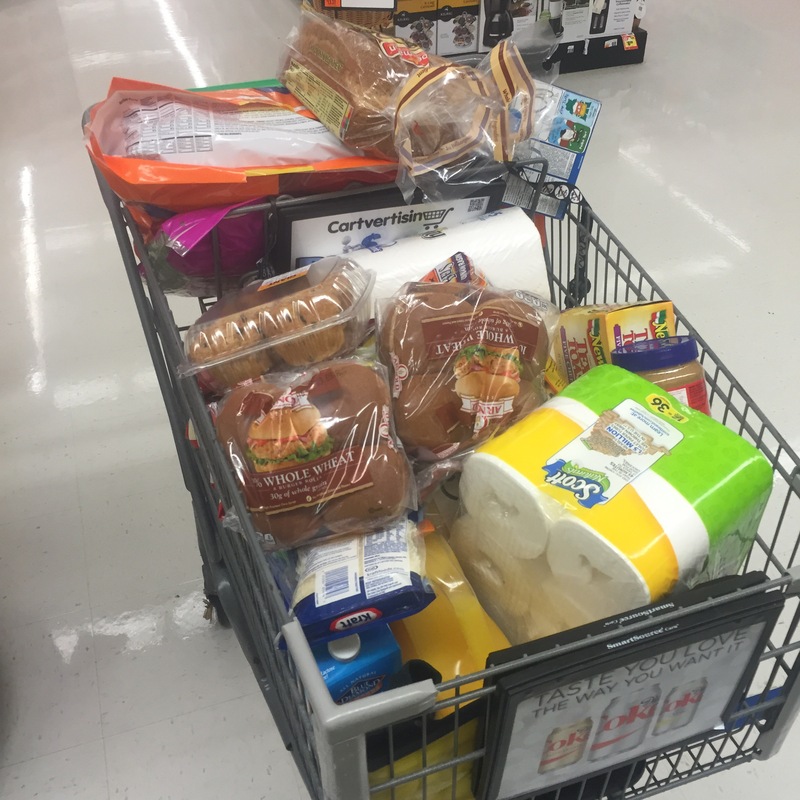 When I got to the check out and looked at my cart, I started to get a bit nervous – what if it didn’t all fit? YIKES! 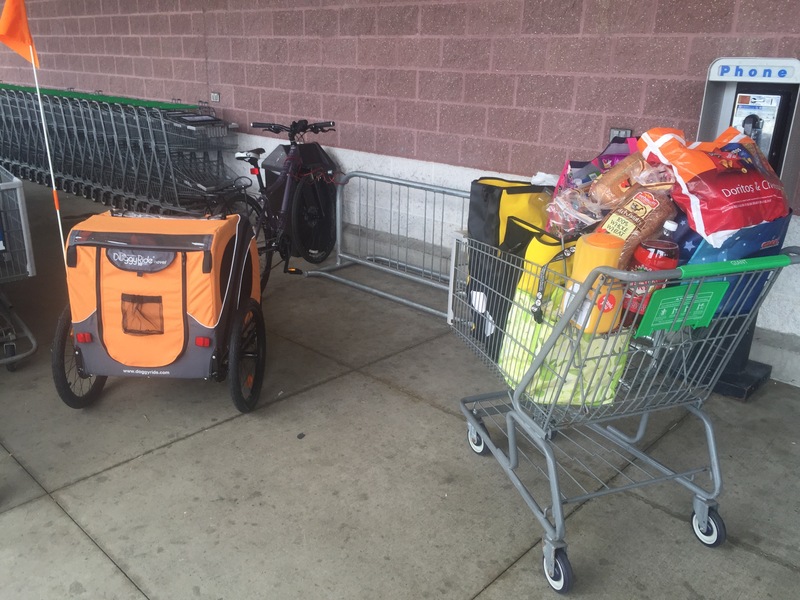 There was nothing I could do about that so I bagged everything I could in the bags I brought with me and in my panniers – I knew I’d have to make some adjustments when I got back to my bike. I am all about reusable bags and try to cut down my use of plastic whenever possible, I only had to use 1 plastic bag on this trip to put my cleaning supplies in – WAHOO! After I paid, I went back out to my bike – starting to have a little more doubt, but I was determined to make it work. 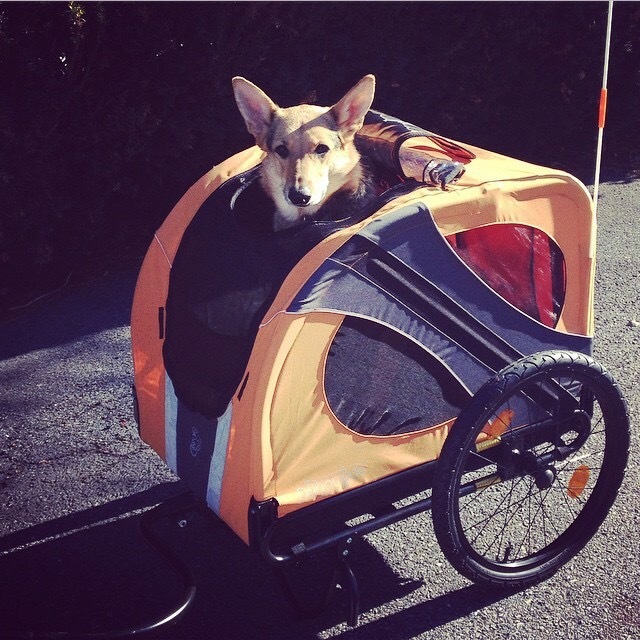 I started loading the heavy things into the DoggyRide 1st – attempting to balance it out. It can hold up to 100 lbs so I was not worried about how heavy everything was, just that I would have enough room for everything. After rearranging some things slightly I had the DoggyRide filled to capacity! AWESOME! 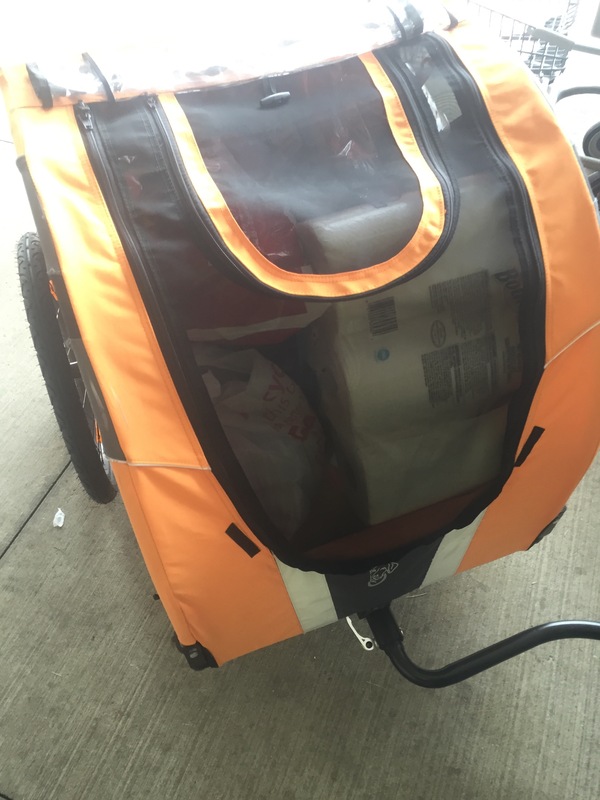 The only things I had left were the panniers which contained some of my cold foods. 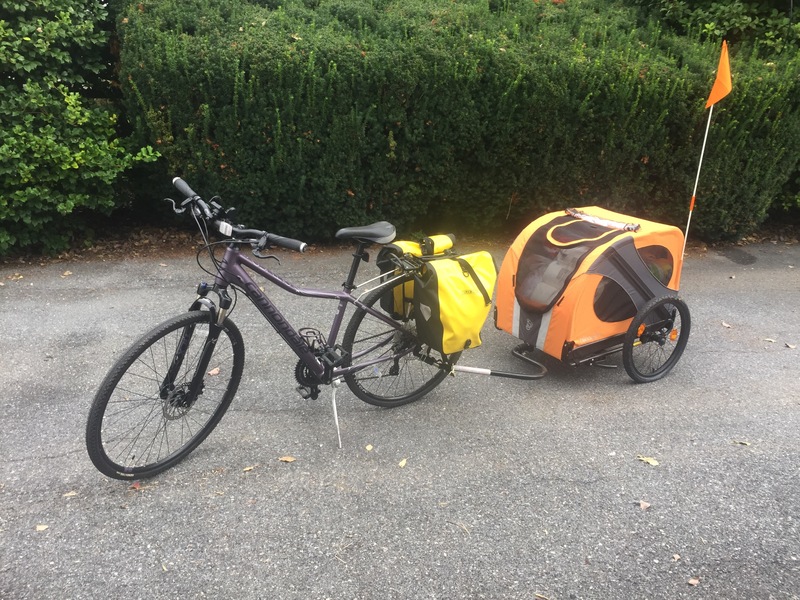 I swapped some things around to even them out and attached them to my bike – I DID IT! 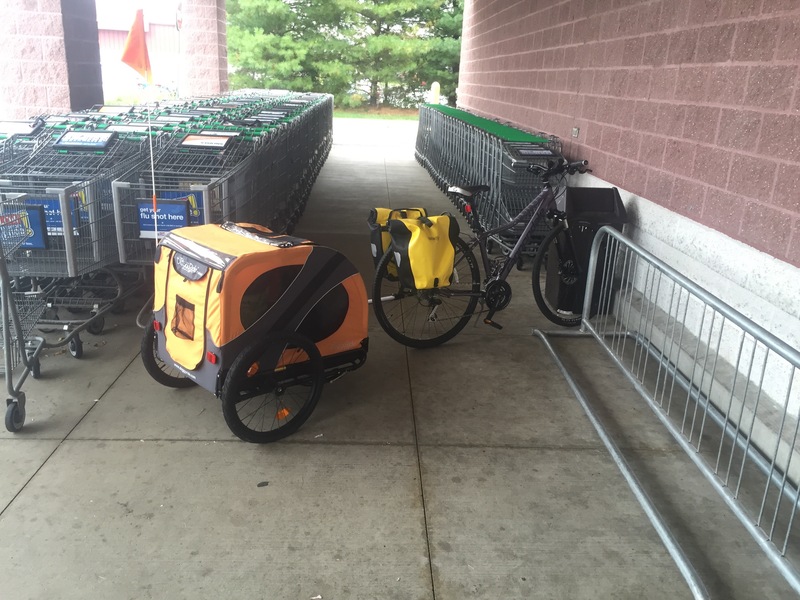 I couldn’t believe I actually fit an ENTIRE cart of groceries in 2 panniers and the DoggyRide! The next test was could I ride home pulling all that weight? At 1st I pushed my bike a little to get from the sidewalk back on the road – it was HEAVY and hard to get going. I thought ‘Oh crap – this is not gonna work.’ but once I got on my bike and started to ride it was so easy! It was only the slightest bit harder than pedaling if I wasn’t pulling all that weight. How awesome! !